Music and the Spoken Word - Weekly Live Broadcast with The Tabernacle Choir at Temple Square. 21 April 2019 at 4:30pm. If the page does not load, please refresh. Music and the Spoken Word is live streamed on the home page of the United Kingdom & Ireland country page every Sunday at 4:30pm. You can find other livestream options on the website of the The Tabernacle Choir and on YouTube. The Tabernacle Choir at Temple Square can’t reach everyone in person, but its weekly program, Music and the Spoken Word, can. 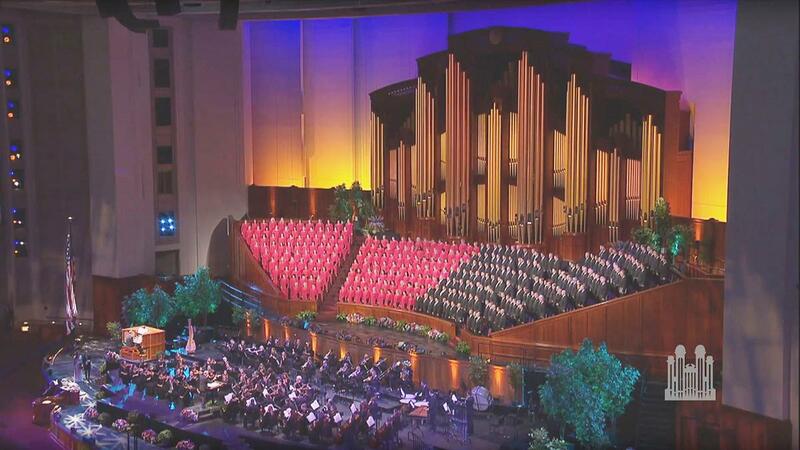 Since 1929, nearly the lifetime of radio, The Tabernacle Choir at Temple Square has been a phenomenon of broadcasting, with the longest continuous broadcast on the air. Music and the Spoken Word has been inducted into the National Association of Broadcasters Hall of Fame and the National Radio Hall of Fame and has entered the hearts of listeners everywhere. What began with one microphone, an announcer perched on a ladder, and a signal transmitted to 30 stations is now carried to the world on radio, television, cable, and the Internet, including YouTube. Click here to see how to follow the Choir online. To view past broadcasts on demand, see the Choir's Video Gallery.